Pastor Naomi Sease Carriker was ordained on August 8, 2008 and began serving with Pastor Roy Stetler at Faith United Lutheran Parish on August 10, 2008. Naomi Sease Carriker grew up in the small town of Randolph, VT. She received her Bachelor of Arts degree in special education from Clemson University, Clemson, SC. 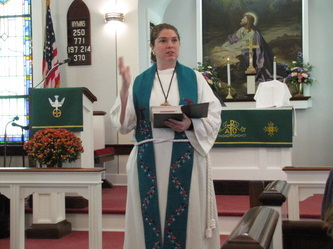 She received her Masters of Divinity degree from Lutheran Theological Southern Seminary, Columbia, SC. 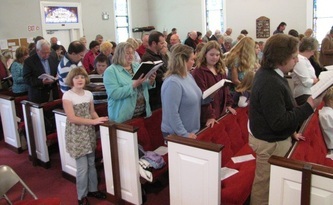 Naomi was a member of Lutheran Church of the Nativity, Arden, NC, and served her internship at Trinity Lutheran Church, Butler, PA. Naomi is married to Chandler Carriker. Her ordination sponsor was the Rev. 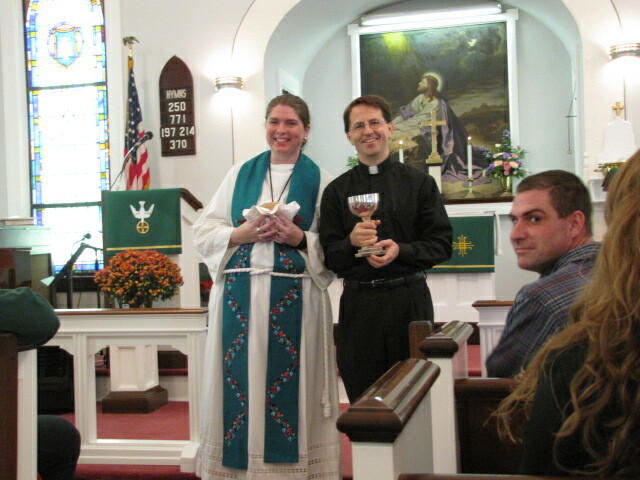 Timothy Eberhardt, pastor of St. John Episcopal Church, Randolph, VT.
What an amazing three years it has been! The Spirit was definitely moving through the parish as you took a chance on two new pastors in the summer of 2008. I could not have asked for a better first call experience. 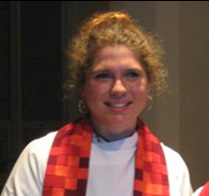 You provided a grace-filled community for this new pastor who was beginning her journey in the call of ordained ministry. It's time for saying goodbye. Somehow I know we'll meet again, Not sure quite where and I don't know quite when. You're in my heart, so until then, It's time for saying goodbye." 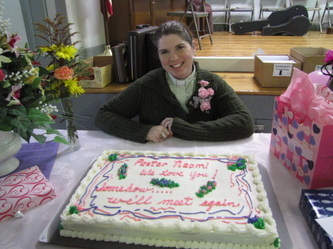 Our parting is sad for many reasons, but maybe mostly because it marks some major financial changes in the parish and that brings with it anxiety and fear of what the future will hold for the parish and the congregations. So as we say our goodbyes to one another, there is a lot of grief that happens when people part, but there are also many, many unanswered questions. My hope and my prayer for the parish is that you will work together to answer those questions and that you will continue to listen to the Spirit, who will guide and push and pull you where you need to be. As you face an uncertain future, I know that the Lord will continue to bless you, the Lord will continue to make his face shine on you and be gracious to you, and the Lord will continue to look upon you with favor and give you peace. 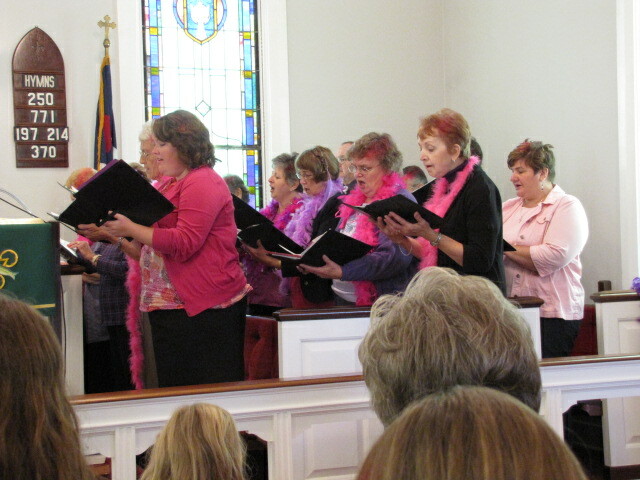 On October 2, 2011, a parish service at Emmanuel and a covered dish at Franklintown Firehall was held to thank, honor, and say farewell to our beloved Pastor Naomi Sease Carriker. 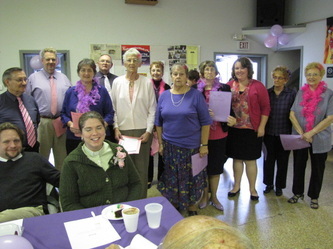 So many individuals offered their help and support in making this event special for Pastor Naomi…a special thank-you to Wally Foreman who helped organize the day’s events and kept the program at the Firehall flowing smoothly. 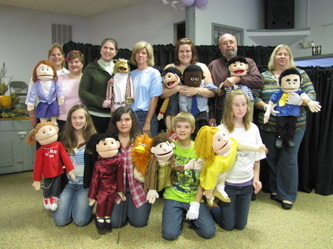 Thanks also to those who set up & decorated the firehall, prepared & brought food…and so many others. 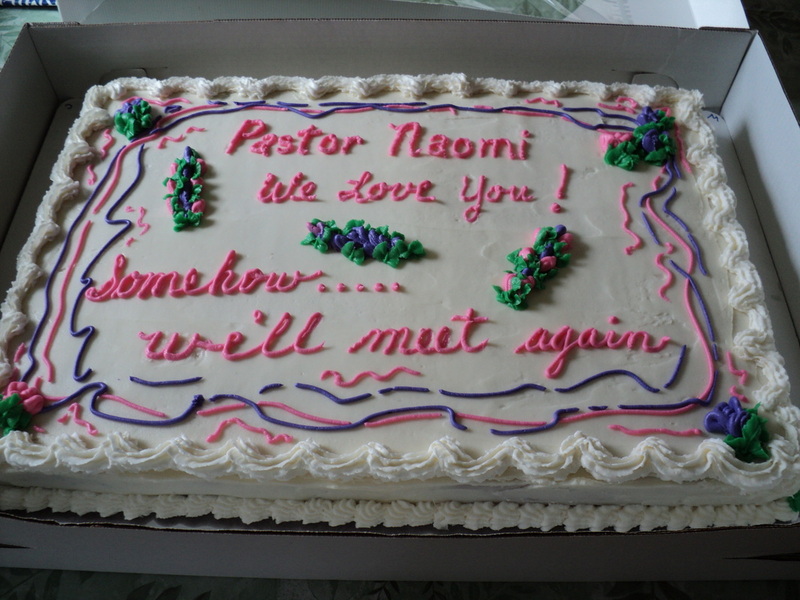 While we are certainly sad to see Pastor Naomi leave our Parish, the large turnout this day clearly illustrated how thankful we are to have been recipients of her Pastoral care, support, & love the past 3 years. 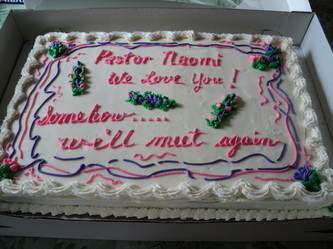 Best wishes, Pastor Naomi! I thank you for all the prayers and support over the past few months. I was truly humbled by the farewell dinner and money tree. What an amazing parish family you are! I have been trying to keep busy and since mid-Advent I have been supplying on Sundays at Christ Lutheran Church in Duncannon. I have been in the call process since before Thanksgiving and I will be preaching for a call vote for the congregation of St. Peter Lutheran Church in Mechanicsburg on February 19th. Again I thank you for your prayers and you all continue to be in mine.